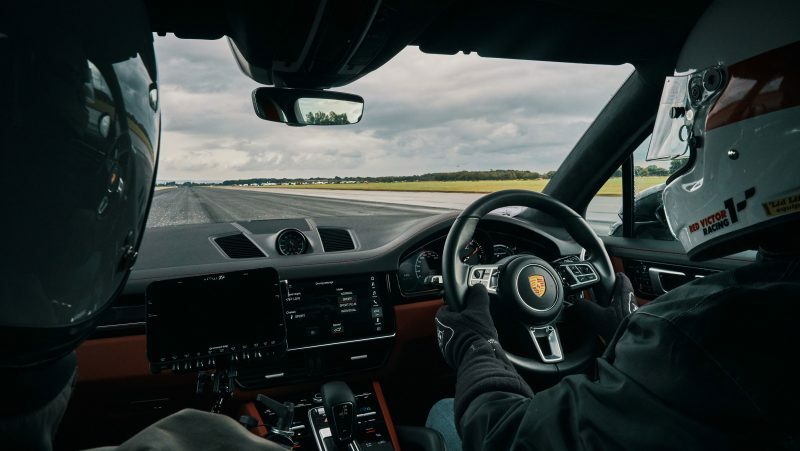 While the world land speed record for a bicyclist was just beaten at the Bonneville Salt Flats last week, an incredible 183.9 miles per hour, Porsche had recently helped another cyclist—Neil Campbell—set the European record on a two mile paved runway in England. 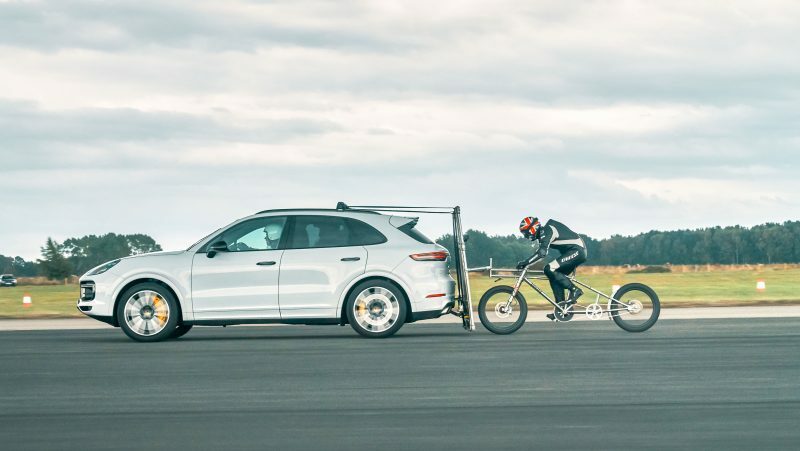 The Porsche Cayenne Turbo was chosen for the task because of it's twin abilities to accelerate quite quickly and to push a lot of air out of the way to help the bike run aerodynamically uninhibited. The bike and tow rig were specifically built for this task, the Moss-built carbon fiber bike featuring a long wheelbase and a stepped-down gearing system for high speed stability. 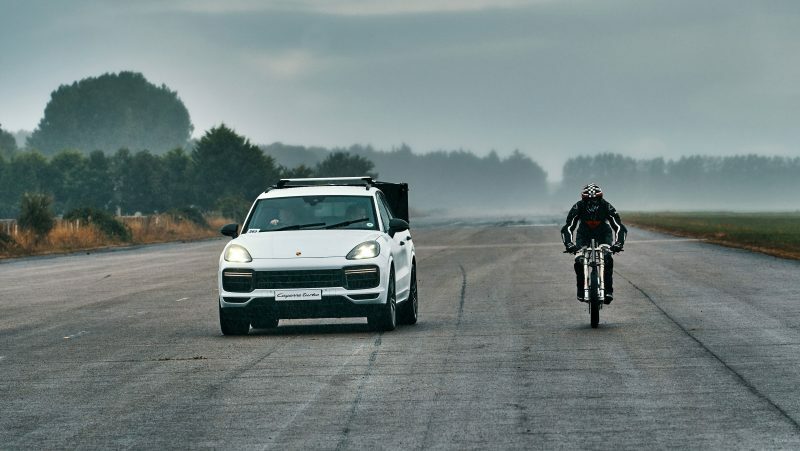 The runway was cleared and the Cayenne (driven by British drag racing champion Andy Frost) pushed off from the start with the bike and Campbell in tow. This is hardly the first time Porsche has been involved in a cycling speed record attempt, as Jean-Claude Rude rode behind a specially modified Kremer 935 race car in 1979. Campbell beat his own prior record of 135 miles per hour, which he'd just set back in June, reaching 149 mph behind the Cayenne. I simply cannot imagine what it must feel like to pedal at 149 miles per hour. Even more crazy, Campbell is after the overall cycling speed record with further attempts to come.